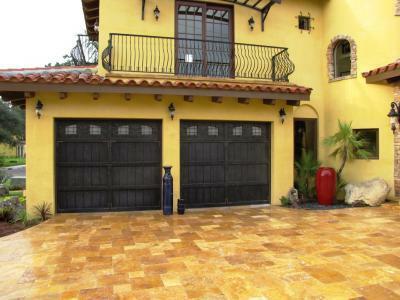 Signature Iron Doors is leading the Iron Door Industry. Our doors are hand forged and designed specifically for the home they will belong to. This is an install we did near Chandler Arizona of one of our Barcelona style doors. Whatever your taste, we have a competent design team that will create iron work to compliment your home perfectly. Call us and come visit our showroom in Phoenix Arizona to discuss your homes iron garage door options.